Save 25% with our xD Essentials 2-Piece Russian Volume Tweezer Set. At The Eyelash Emporium we have put together the perfect combination of tweezers to start out in xD Russian Volume lashes. When you first start training to complete volume lashes it can be difficult and a slow process, and any tools that can help you get used to the technique are always welcome in our opinion. So these high quality tweezers will make it easier to grasp this amazing technique and in no time at all you will be creating stunning sets of volume lashes that you can be proud of and that your clients will love. 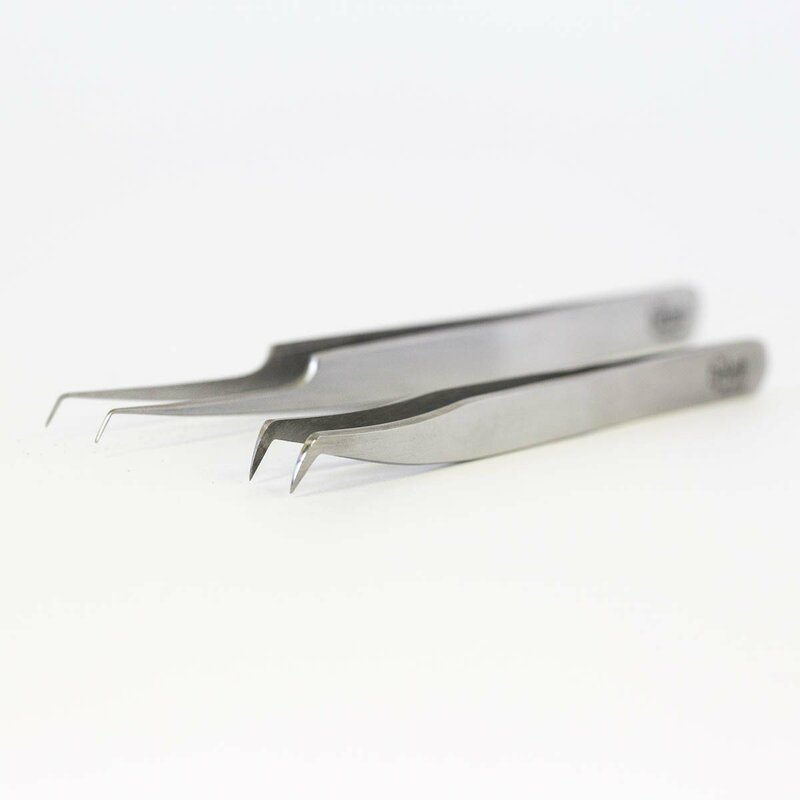 This set contains our xD Precision stainless steel tweezers and xD Isolation 50 tweezers. By buying both pairs of tweezers together all of our customers will save £10 compared to buying both items individually. Safe for wet sterilisation in Barbicide after each treatment.